No matter what kind of steed you mount, keeping hydration close at hand should never be a problem. The Arundel Sideloader provides a solution to cramped spaces on compact style road frames, and awkward full-suspension mountain frames. The Sideloader is dedicated to either right or left load, as a single flip-flop design would jeopardize proper bottle security. The full-carbon body keeps weight down to a svelte 30 grams. Normally a comment like "It just works" is not glowing praise. However, in this case it is. I normally hate bottle cages. Until recently I refused to use them because I lost track of the number of times I reached for a bottle during a mountain bike race only to find that the bottle was gone. I purchased this cage to use in a long distance mountain bike race. After 100 miles and numerous rocky descents my bottles were still secure in the cage. The weight claims are accurate. My cage weighed just under 30g. My road bike has a short seat tube, which caused problems when I tried to retrieve or put back large bottles in a standard cage. The Other Sideloader makes it easy to grab bottles with a slight tug to the left (non-drive side) when mounted on the seat tube. That said, bottles stay put when I'm riding over potholes and bumpy road surfaces--not all ultralight cages pass this test like Arundel's. Bottom line: the Other Sideloader remedies a specific problem, adds little weight to your bike, and looks great. 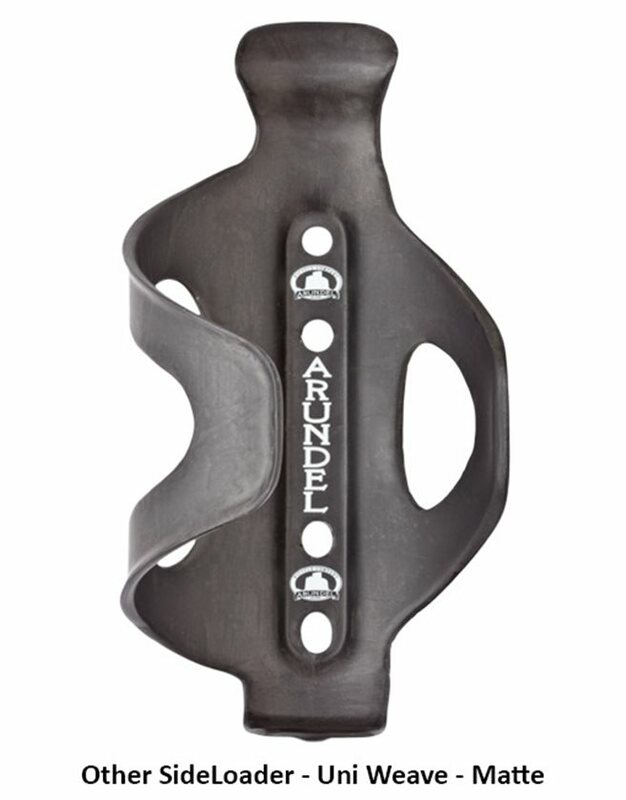 Like all Arundel products, I've used this is money well spent. Great bottle cage for small frames. I was having a hard time getting my bottle back in but this solved that issue. this cage holds the bottle nicely not to tight not to lose just perfect and it looks great and lightweight. 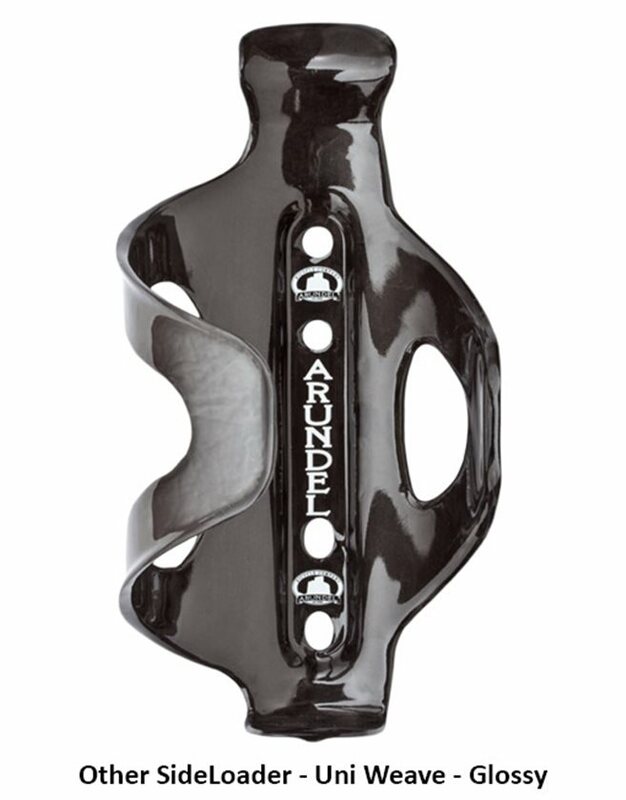 Stunning finish and the side loader configuration works great in the limited space of a trail bike front triangle. Super light and versatile. Easy to install and holds different size water bottles. Quality and the name you trust! Bit on the costly side. But hey, u get what you pay for. I have gone cheep with cages & lost bottles during races. Hind sight is always 20/20. 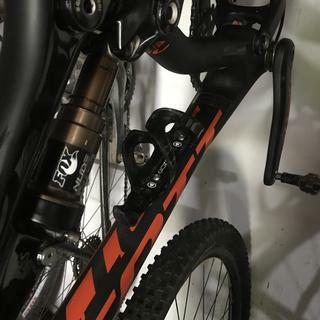 Does not touch the SC Bronson carbon frame, smoothly in and out bottle movement, bottle stay in put with hard bumps, definitely recommend this product. Light, strong and clean looking. They do squeeze the bottle differently than a top loading cage. It’s not a problem, as I’ve carried my top heavy 1 liter bottle without problems even on gravel. Great, but should be for this price. Headline says it all. 2 things I really like. It has holes to mount it quite low on the frame and its stiff enough I do not worry about it holding a bottle on my mountain bike.